He is an international lecturer on the treatment of various topics such as the Management of Diabetes, Allergies, Beauty and Stress Management using Ayurvedic medicine and Panchkarma therapy. He was invited to visit Germany, Denmark, Sweden, Austria, UK, Spain, Morocco, Holland, France, Italy, Greece, Canada and Venezuela for Ayurveda promotional activities; such as lectures, workshop and counseling. He has proven success-treating patients of varying age, ethnic and cultural backgrounds. He was invited to deliver a lecture on Ayurveda by Vienna International Center (VIC) at United Nations Headquarter (UNO), Vienna on 25th May 2005. Lately he started sharing his practical knowledge and experience with new comers in the field. He is now offering Franchise for Migraine Management. Today he is having 8 franchise in India and 1 franchise in Atlanta, USA – working under the name of Ayulink Migraine Management Center. He is the pioneer in the state to draw foreign patients for Ayurveda treatments through Internet. Also his efforts now made it possible to draw foreign students in this state for further practical training in the field of Ayurveda. He is conducting several training courses under Ayulink Education for overseas students for practical training in the field of Ayurveda and Panchkarma since 1996. Students from USA, UK, Switzerland have participated in this course till today. He is promoting his brand AYULINK for teaching training, treatment and trading by professional tie-up with institutes in overseas countries. Now he is having Franchise of Ayulink Education in Malaga (Spain) and Hamburg (Germany). He is associated with small and big ayurveda institutes, clinics or centres, as well he serves Ayurveda Hotels, Spa and Resorts as consultant. These days he is serving as ayurveda consultant with two Five Star Hotels in Europe. 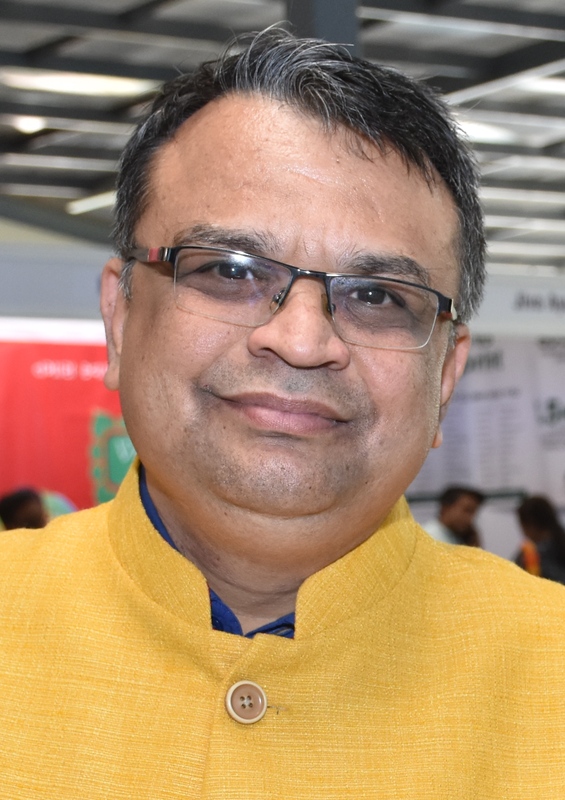 He is pioneer to promote Ayurveda Tourism in the Gujarat State, and having first of its kind agreement with a Caracas based, Latin American Company for the purpose. As pharmaceutical consultant with special interest in research and development of natural, herb-based health products for nutritional and cosmetic purposes, he is involved in exports (Ayulink Food Products) and Clinical Research – Human Clinical Trails (Ayulink Clinical Research). He is working with several national and international NGOs. He has also been involved in projects related to Ayurvedic clinics and hospitals.. He has been invited as chair to the session, expert panel member, coordinator or chief speaker to several regional, national or international workshops/ seminars. He has been interviewed by International TV channel, International Radio stations – 6 times, National/ Regional TV channels – 8 times, National/ Regional Radio stations – 12 times and by leading dailies and periodicals more then 40 times. During May 2008 to February 2016 , he wrote an ayurveda weekly column in leading Gujarati News paper ‘Divya Bhaskar’. His column was named ‘Panchmo Ved’ (Fifth Veda) ,and it was published every Wednesday. 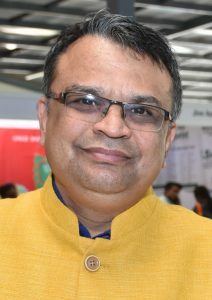 He is writer of several technical books on ayurveda subjects in different languages (Gujarati, Hindi and English). His book on Panchkarma is translated and published in Italian language too. Appointed as Honorary Panel Ayurvedic Consulting Physician to Dr. Jivraj Mehta Smarak Health Foundation and Bakeri Medical Research Center, Ahmedabad. Served as Founder Secretary of Academy of Ayurveda Development And Research (AADAR), Ahmedabad. Agreement with Caracas, Venezuela based company to Promote Ayurveda Tousirm in Gujarat State, first of its kind.